부에노스아이레스에서 여행하기 편리한 숙소를 찾고 계신다면 듀크 호텔 부티크 앤 스파만큼 좋은 곳은 없습니다. 도심까지의 거리는 약 1. Km이며, 공항까지는 35분 정도 소요됩니다. 본 숙소 주변에는 El Quetzal, Avenida Santa Fe, Parroquia Nuestra Senora de Guadalupe 등과 같은 인기 명소가 있습니다. 본 숙소(듀크 호텔 부티크 앤 스파)의 훌륭한 서비스와 우수한 시설이 잊을 수 없는 여행을 만들어 줍니다. 투숙객 편의와 편안함을 위해 숙소에서 장애인용 편의시설, Wi-Fi (공공 장소), 공항 픽업/샌딩 서비스, 여행 안내소, 세탁 서비스 등을 제공합니다. 본 숙소에서 머무는 동안 고급 객실 시설을 경험할 수 있으며, 일부 객실에 구비된 평면 TV, 무선 인터넷(무료), 에어컨, 난방, 책상 등은 투숙객의 긴 하루 후 재충전에 도움을 줍니다. 운동 마니아거나 지친 일상으로부터의 휴식을 위해 방문하는 고객들은 온수 욕조, 사우나, 실외 수영장, 스파, 마사지 등을 즐기며 재충전할 수 있습니다. 아주 좋은 위치에 있고 우수한 시설을 구비한 본 숙소(듀크 호텔 부티크 앤 스파)는 부에노스아이레스에서의 잊을 수 없는 추억을 위한 완벽한 장소입니다. Excellent generous breakfast spread, helpful and attentive staff, great location in palermo with loads of restaurant options nearby. A great stay and experience. It is a good hotel overall. 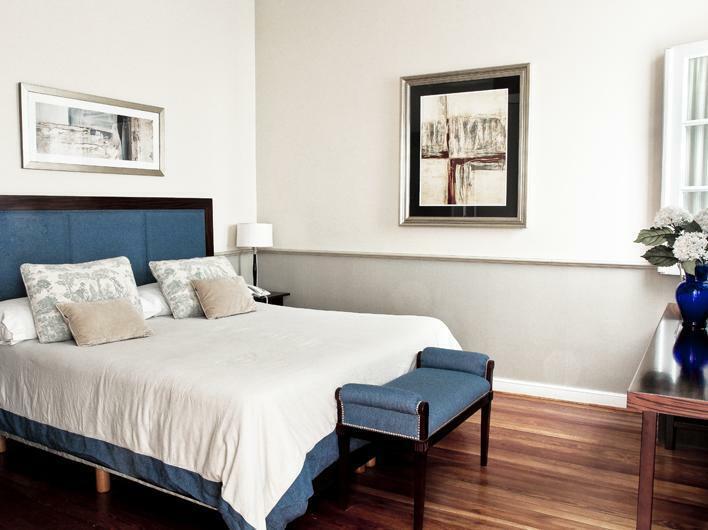 Clean rooms, easy access to the subway, nice area and many shops and restaurants in the neighborhood. The breakfast was a bit disappointing with small variety and a recepcionist told me a show would cost me 850 pesos. I looked outside the hotel the same show with the same food and transport and I paid 540 pesos. They recommended a ticket 57% more than the market price. It seemed at least suspicious. Dear Guest, we are a little surprised how you experienced our hotel and service. As this is the total opposite to what most of our guests experience and express in their review. But of course this all is very subjective. We take strong emphasis on personal service to our guest the same as we try to assure comfy atmosphere in the rooms as well as in the public areas. Probably you might give us as second chance to prove that we can make it better. We stayed in the hotel for only one night but it was a great experience. My husband and I really enjoyed the sauna and jacuzzi, and the breakfast was great (yummy pastries!). 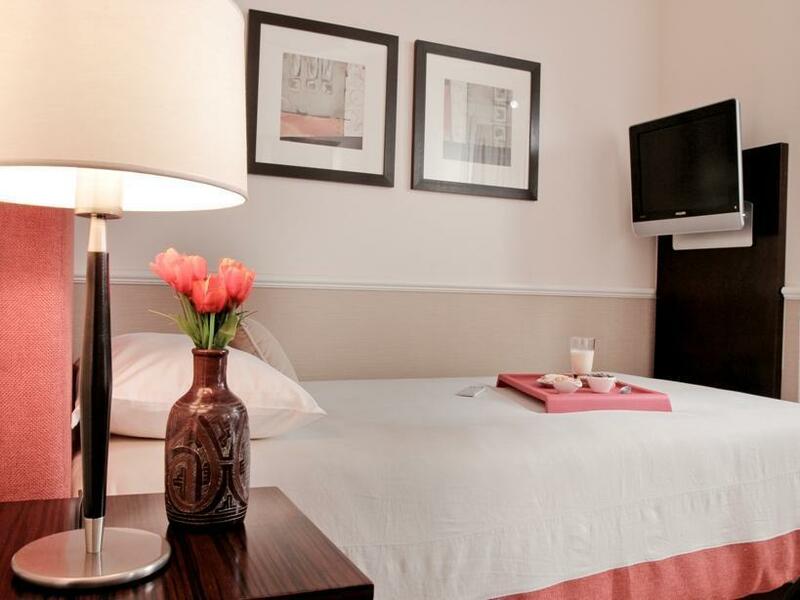 The hotel is only a few blocks from busy Plaza Serrano, perfect location with lots of restaurants nearby. It was just what we needed, a quiet and relaxing day, good food and friendly staff. I would definitely stay there again. 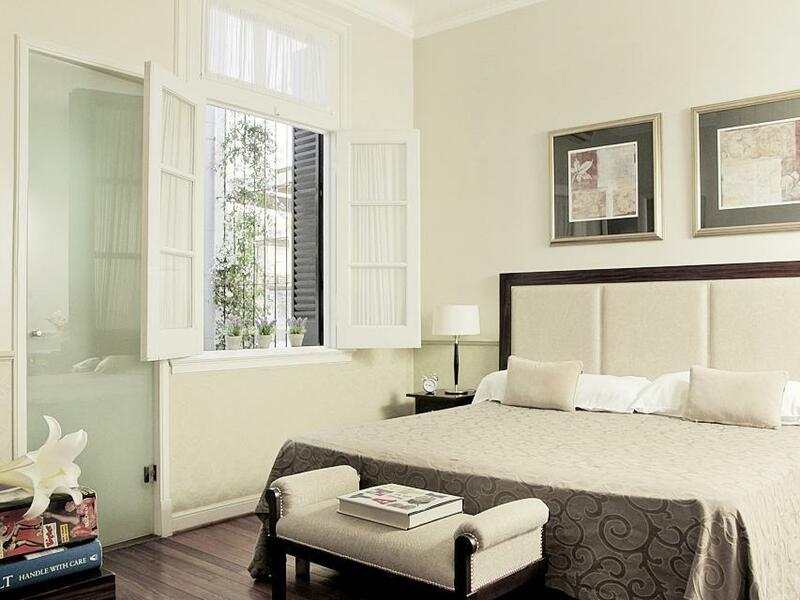 Dear Guest, First of all we would like to thank you for letting us be part of your experience in Buenos Aires. It is so nice to hear that our guest enjoyed their stay with us. That really makes our day! We wanted to let you know that this will always be your home and that you are more than welcome to come back. If you have any suggestions for us to improve the service, don’t hesitate and let us know. Greetings from all of the staff and we hope all the best for you. Maybe I am spoiled for by boutique hotels in Asia, but Duque was average to me. Adding to that, the room (Duque Classic) was small and the walls are slightly thin. Breakfast was decent and the room and hotel had quite nice decor. The spa and pool are rather small. Excellent. My room was ready early, staff had good language skills and were very friendly and helpful. The design was trendy and a great boutique style. Very comfortable with great public areas. Lounge and garden were great. Nice to also have spa facilities. Thank you for posting your feedback about your recent experience with us. Our guests’ opinion is the most important thing for us, and it seems that you really enjoyed your stay with us, that make us extremely happy and proud of our work. Greetings from all of our entire staff and we hope to serve you some other day. I thoroughly enjoyed my stay at this hotel. It is small and it feels like you are coming home at the end of your day. The staff were very friendly and helpful. Very helpful staff, beautiful rooms! The staff were fantastic! Organised tours for us and recommended things to do! Great breakfast with afternoon tea and cake!! Very trendy area with cafes, and boutique stores. this hotel really was a highlight, i can't really fault it on anything. 24hr security, snacks and coffee. the staff helped with any request and could give good advice when required. we didn't use the pool or massage facilities however they looked good. Dear Guest, We greatly appreciate the review! Thank you so much for the positive feedback and we look forward to serving you in the future. loved our stay at this gorgeous boutique style hotel!! staff were lovely and so helpful with everything we needed, they make you feel at home in their gorgeous hotel. they have tea/coffee facilities all day with sandwiches and cake great to relax in the lounge for an afternoon break. 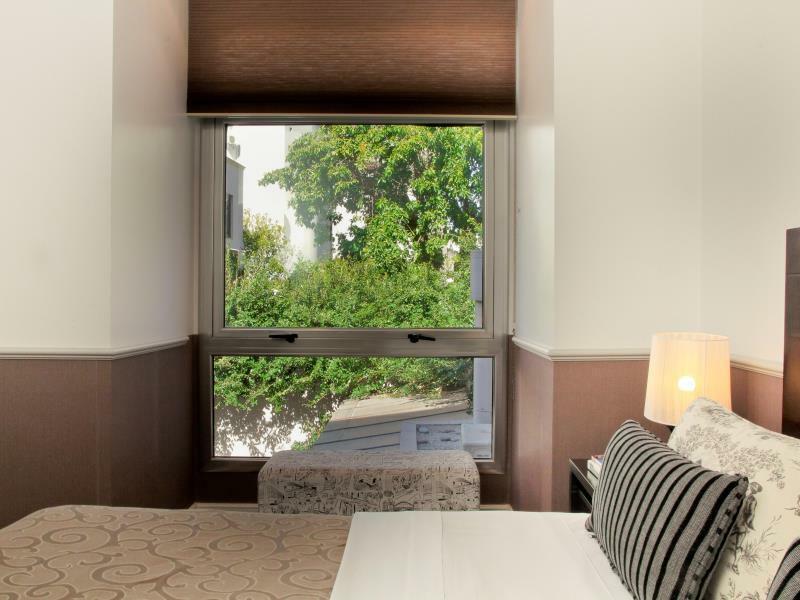 close to all the great restaurants, bars and boutique designer stores in palermo soho. great place to stay if your looking at staying outside the crazy city centre. taxi ride into the city centre was only $ so great option if you want to check out the sites. staff also booked us an amazing tango show that was broadway quality definitely get that recommendation if you stay there. First of all we would like to thank you for letting us be part of your experience in Buenos Aires. It is so nice to hear that our guest enjoyed their stay with us. That really makes our day! We wanted to let you know that this will always be your home and that you are more than welcome to come back. If you have any suggestions for us to improve the service, don’t hesitate and let us know. Greetings from all of the staff and we hope all the best for you. Effiecient and friendly service, clean/modern rooms, good location and alternative. This boutique hotel features only a handful of rooms, which makes this hotel unique and intimate. The service of all staff was friendly and efficient. Rooms were clean and very comfortable. We booked a 'standard' room, however, I felt it was a lot better than the basics that I get from other hotels, so definitely worth the money you pay for. 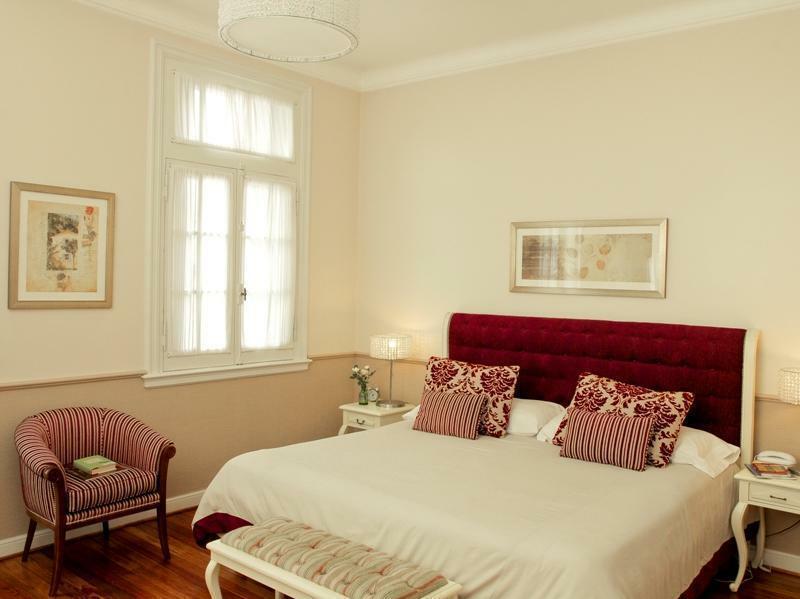 The hotel is located approx 10 minutes walk from eating / bars / shopping areas in Palermo. Further, it is 15 minutes walk to the Subte (Metro) which takes you downtown. Thank you for sharing your recent experience at The Duque. I am pleased to know you enjoyed your recent stay at our beautiful property. My colleagues are proud to know they made a lasting impression on you as this is what they pride themselves in. I hope you will return in the near future and remain at your service. Homey feeling, sauna. And location! Very much enjoyed stay at this little boutique hotel. Loved returning to the hotel after a long walk, to have a tea in the living room and unwind in the spa. Highly recommended. Safe to say, you have to ring the door bell in order to access the hotel. The service at the front desk was excellent, Speak English so well, smile to you all the time, very help with your need. 24 hours free internet access, computer to use at the hall, coffee and tea to enjoy at the dinning area all the time. Thank you for posting such nice comments on your recent stay at the Duque. I am glad you had a relaxing vacation in Buenos Aires. My team is grateful for your recognition and look forward to welcoming you back. I look forward to your next visit and remain at your service. this stay cam at the end of a 2 month jaunt around south america so we were ready for a bit of luxury. excellent location for discovering palermo and nice and quiet too. staff are super helpful and friendly. rooms have everything you need and the beds are very comfortable. The idea of this hotel is that you have come home and that it is your home. Thank you very much for taking the time to write this review. Your positive feedback will be shared with our staff to show them that hard work and excellent customer service pays off. We look forward to serving you in the near future, and again we appreciate you! This Little hotel has many facilities and very clean and comfortable rooms. Service was very proactive and people payed attention to all the guest needs. 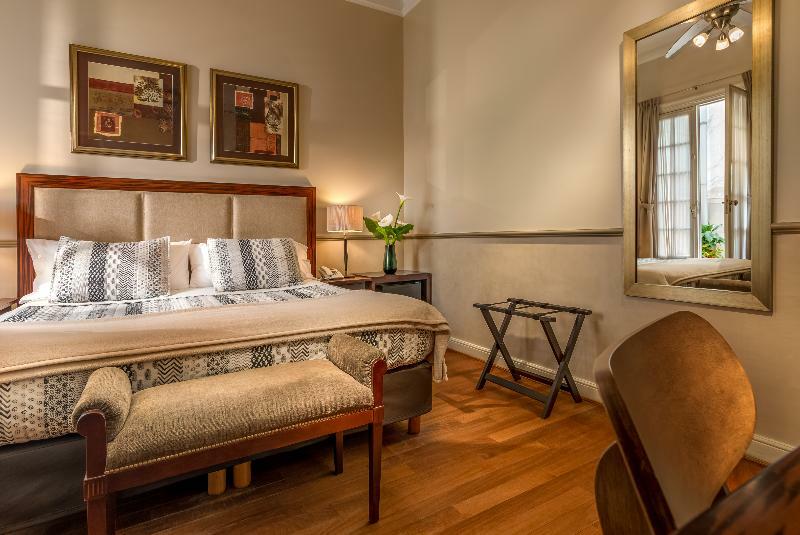 The hotel is situated in Palermo Soho, one of the best areas of Buenos Aires to go out for dinner and spend the night with good friends.